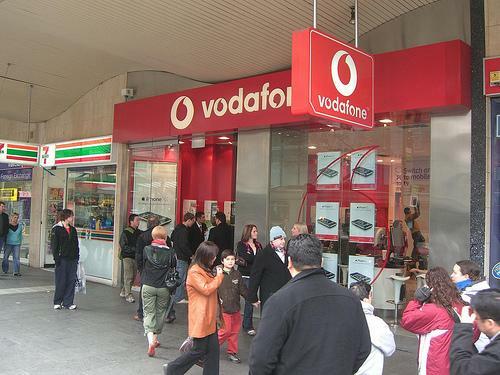 Vodafone Australia today wrote to its customers to share plans about its network performance and improvements to customer service, in a bid to repair its image following a tumultuous few months. Are you stuck in a two-year mobile phone contract and desperately want to break it? We show you how to get out of your mobile phone contract. Vodafone has suffered from various network issues in Australia in recent months, ranging from dropouts, delays and coverage black spots. Delayed SMS messages and voicemails, data problems and, in many cases a complete lack of coverage for extended periods at a time, have resulted in a class action lawsuit being considered against the company. In a statement released today, Vodafone Hutchison Australia (VHA) CEO, Nigel Dews, outlines the status of a number of network upgrades, including the investment and future deployment of "4G" technology, Long Term Evolution (LTE). "We want our customers to be happy with the network, service and value they receive from us. We've been working hard to improve our network and service but still have work to do. We have a very clear picture of what needs to be done and it’s already well underway. Our plans have been accelerated and we have the teams and resources in place and the right focus to deliver for our customers," he said. While stressing that "technical faults" complicated planned network improvements in the past, Vodafone admitted fault by saying its network "could have been better supported by earlier coverage and capacity upgrades." The company is continuing to "work through rapidly injecting more capacity and coverage into the network as well as rolling out our new network and upgrades." It has also appointed Barry Kezik as general manager for network performance, with responsibility for ensuring voice and data services "perform at their highest level." Communications body Australian Communications Consumer Action Network (ACCAN) commended Nigel Dews for the letter of apology to the company's customers. "We've been communicating with Vodafone since we became aware of the issues in October and advised them to start writing directly with their customers about it," said ACCAN CEO Teresa Corbin in a statement. "As we've said before, customers will understand if there are network issues from time to time but you have to be upfront and fair about it by letting your customers know what is going on." "We know many customers have exited their contracts already but we're pleased Dews is now writing to customers directly. Many customers have already been compensated by having bills waived or by some other arrangement and Vodafone, while slow to respond to the problems initially, has made an effort to make up for them since." Other initiatives outlined by Dews in the Vodafone customer letter include a $1 billion investment until the end of 2011 in the current network, a new 850MHz 3G network (with 2500 sites being built or upgraded), the replacement of equipment in 8000 radio access network sites, the trial and future rollout of LTE network and devices, and 300 additional customer service staff. VHA has also made significant upgrades to the Vodafone Web site that include a new section on network and service information, the ability to search via postcode for detailed area network status (including outages or congested sites), new coverage maps, and a new online forum. A call-back option has also been introduced so customers don't have to wait on hold during peak times.